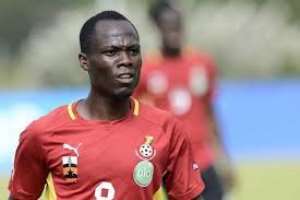 Ghana Black Stars midfielder, Emmanuel Agyemang Badu has reiterated Black Stars coach, Kwesi Appiah has no plans for him going into the AFCON in June. Agyemang Badu has featured for the Black Stars in the last five AFCON tournament and was part of the team that made the finals in 2010 and 2015. The Udinese player returned to the pitch at the latter part of last month after being sidelined for 11 months due to injury. According to the 28-year-old, he rules himself out of Kwesi Appiah’s plans for the upcoming AFCON. “Am not in the plans of the coach [Kwesi Appiah] even when I was not injured. He didn’t give me the opportunity to play,” he told Adom FM. Agyemang Badu was part of Kwesi Appiah’s team that got knocked out in the group stages of the 2014 FIFA World Cup in Brazil.